VMware published a new version of the vCloud Architecture Toolkit (vCAT). This set of documents contains definitions, design and operating recommendations and examples to build Private, Hybrid and Public Clouds with the vSphere Platform and vCloud Director. 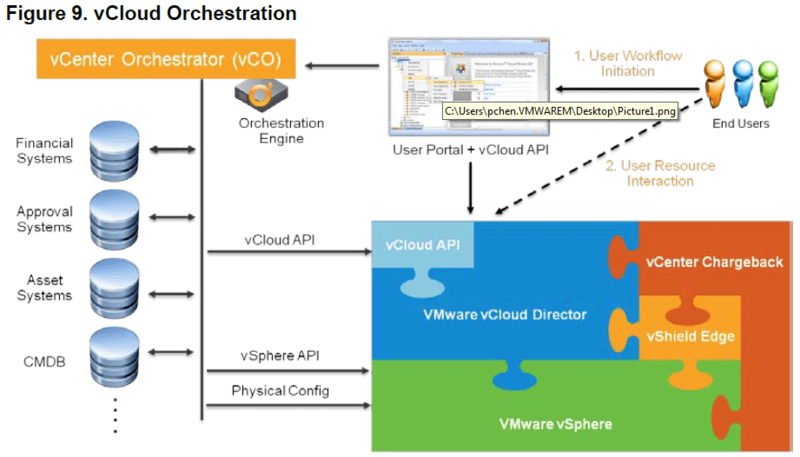 vCenter Orchestrator is mentioned in several places, not only as part of the reference architecture, but also with good content about it. There are chapters about Availability, Scalability and Use-Case-Examples for vCO.